"Convenient location good size room." Nice hotel on the bank of Nile. 07-Jan-2019 Verified Review, stayed from Fri Dec 28 to Tue Jan 01 2019 at a $159.00 average nightly rate. 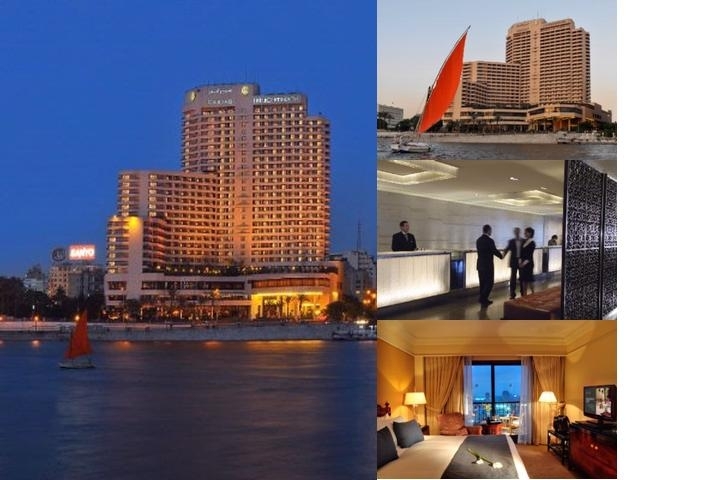 The iconic Semiramis InterContinental Cairo is a symbol of modern style centrally located in the heart of the city centre and facing the magnificent river Nile. It is within walking distance from downtown's shopping and commercial hub and only minutes away from the Egyptian Museum, the Cairo Opera House and the Cairo Tower.The diversity of this exotic metropolis creates an authentic backdrop to your event, alongside our high standards of excellence and contemporary conference and meeting facilities accommodating any function from a small corporate luncheon to an international seminar.The hotel's 726 guest rooms are decorated in a style that mixes contemporary facilities with local artistic flair. All rooms boast breathtaking, panoramic Nile/City views and are fully equipped with flat screen TVs and high speed internet. For extra space and comfort, Club InterContinental offers four floors with a variety of suites, exclusive lounge and enhanced, personalized VIP service. Explore a wide-range of 11 reputable dining destinations, from the acclaimed cosmopolitan cuisine of the Grill Restaurant and Lounge to the captivating Thai sensations of Birdcage. The Poolside also offers delectable BBQ delights in a relaxed atmosphere and spectacular weather. For your health needs, the InterFitness Health Club is available 24 Hours with cutting-edge equipment and relaxation treatments.The Semiramis InterContinental features over 27,000 square feet of event and conference space. The glorious Cleopatra Ballroom has a spacious and airy ambience accommodating up to 1,850 guests and equipped with the latest audio visual control booths, simultaneous translation facilities and a permanent stage with changing rooms. Ideal for smaller meetings and receptions are the Nefertiti Room, the Salon Bablyon and Teeba all of which may be individually subdivided. For an outdoor breeze, the Nile Terrace is a unique space to host any private function. Coming soon is the state-of-the-art Meeting Destination Center that transforms the traditional business environment into an innovative, contemporary space.Your meeting will be delivered by a highly-trained team focused on understanding your needs and staging an event that is tailored to you. Every element of our service and technology is designed to simplify the event planning process, from fast availability checks and transparent pricing to the latest technology tools such as virtual tours and fully interactive floorplans that can be customized to each event. 4 PM same day of arrival for individual bookings, except when otherwise stated for groups of 10 rooms or more. Cairo International Airport(CAI) is situated 25 KM (45 minuites drive) from hotel. Transportation services are available with a limousine car with max of 3 persons at $20.00 per way or with a yellow taxi at $5.50 per way. 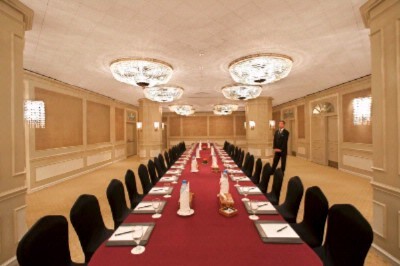 Below are the meeting, banquet, conference and event spaces at Intercontinental Cairo Semiramis. Feel free to use the Intercontinental Cairo Semiramis meeting space capacities chart below to help in your event planning. 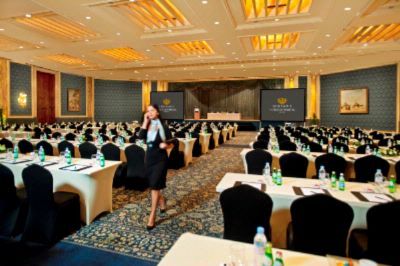 Hotel Planner specializes in Cairo event planning for sleeping rooms and meeting space for corporate events, weddings, parties, conventions, negotiated rates and trade shows. 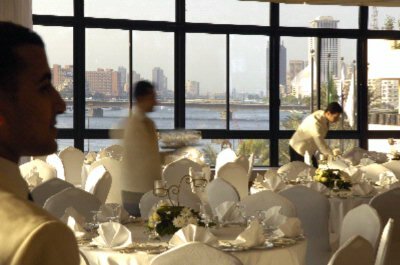 Teeba offers a grand view of the River Nile and is the perfect venue for a social event and offers a sense of exclusivity for meetings and dinner parties. The room can be divided into two sections. 19 x 22 x 3 M.
Nefertiti lies across from the Cleopatra. It is divided into two sections and has the benefit of natural light. 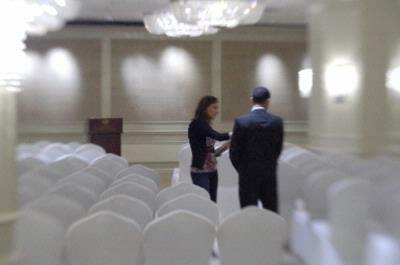 25 x 9 x 2 M.
Cleopatra ballroom is one of the largest in Cairo. It is equipped with state of the art audio/visual facilities including full size stage. It is sub-divided into four seperate areas and has own pre-function area which is ideal for cocktails and exhibitions. 52 x 30 x 5 M.
A recently renovated room that may be divided into 3 sections. Babylon is the perfect venue for a boardroom style meeting or an exclusive dinner for 30 - 120 persons. 25 x 10 x 3 M.